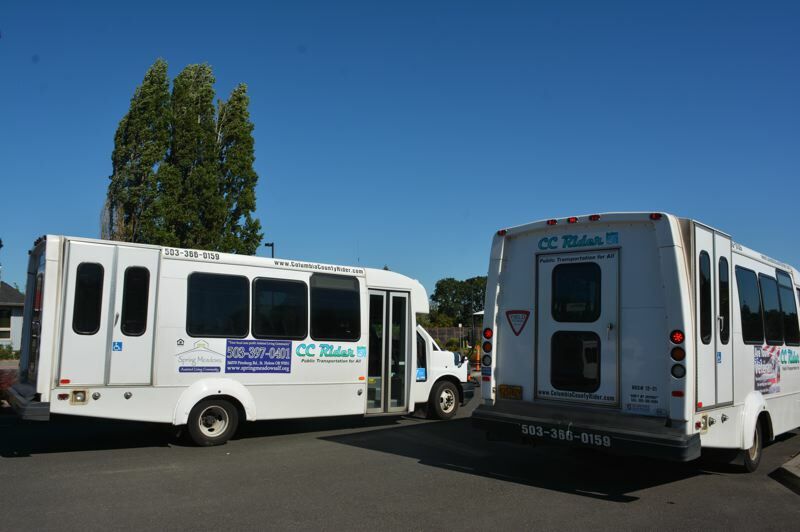 CC Rider is gearing up to find a replacement for its contracted bus driver agency. Pending an early contract termination with MTR Western — the company that provides drivers for Columbia County buses — CC Rider is hoping to find another company to step in. CC Rider was notified last fall that MTR Western would be ending its contract with the local transit agency in April, two months before the contract was scheduled to be up in June, says Todd Wood, transit director for CC Rider. Shortly before MTR Western decided to pull out, 22 of its employees who drive for CC Rider voted to unionize back in late September, according to the Northwest Labor Press. NW Labor Press noted that the timing of the contract termination was called into question as a possible violation of federal labor laws. Wood says MTR Western wanted to cut its losses with CC Rider. "MTR Western decided they were losing money and they pulled their contract early," Wood said Wednesday. "They're terminating their contract April 16, which they are legally allowed to do." "The MTR drivers here did vote to unionize," Wood said, noting he supports their efforts for better pay, but said he's not sure the union vote was the catalyst for the contract ending early. "I don't know that they're one in the same thing," Wood added. Following a recent announcement from CC Rider that the agency plans to make substantial cuts to some of its routes in an effort to close a $250,000 budget deficit, Wood said the agency already factored higher labor rates into its revised budget. "That's part of the reason the cuts are as deep as they are," Wood said. "We are anticipating a new contract coming in higher, and that includes higher wages for the union workers." Asked about the possibility of hiring drivers directly, rather than contracting with another agency, Wood said that option isn't completely off the table. "Right now John [Dreeszen], our transit coordinator, he's actually working on drafting the new request for proposals. We're not pro or con bringing things in house. What we're interested in is, what is the most responsible use of the money we have? If the bids come in high, and it's cheaper for us to do it in house, we'll do that." for Tuesday, Jan. 15, in St. Helens.